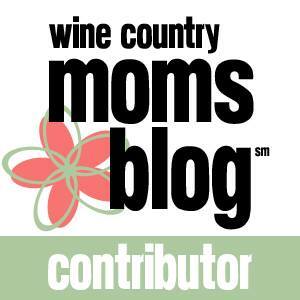 Scary Mommy recently published an article I wrote about all the rules and whys and hows around what it's safe to talk about and what's forbidden. Okay, I have more to say on the topic. And it stems from the fact that I AM NOT A SOUTH. Hold on. We'll get there. Throughout the last five plus years at my job, I've participated in the Compass Points activity approximately 117 times. Basically, although we tend to be capable of living our lives with a number of different priorities, we lean more towards one "direction" or another. South: I love everyone. I will never hurt anyone. I may freeze with inaction to ensure that everyone is okay with what is happening. West: Give me the facts. All of them. No, really. All. East: Why? Why? Why? What's the purpose behind all this? I used to be solidly a NORTH. I would proceed without caution, or "jump in feet first," as my mom likes to say. Since having kids, I've navigated more towards being an East. Maybe it's because I am friggin' scared to death to mess with naptime, but I need to fully understand why I would agree to anything before doing it, and that has transferred to my professional life as well. But I've never been a South. I don't want to purposely hurt anyone's feelings, but I don't tend to pause my whole life to worry about how someone might feel about a question I'm asking. Is that mean? I don't know. Is it nice? Probably, not. Most likely, it is nothing, as my three-year-old likes to say. So, what does this have to do with having a conversation? Well, the fact is, I can't keep all the topics I'm not supposed to talk about in my head all at once. If I tried to remember them all, I'd just stop talking. And anyone who knows me, knows that me not talking just isn't going to happen...like ever. Plus, not everyone knows your life. We are asking about common life events. It's not my responsibility to read your mind and know the topic is off limits. Same thing with me - it's not your job to know to not talk about moms. Or cancer. Or moms with cancer. Just because my mom has cancer. Let's all remove the sticks, and just talk. I do try to have some social awareness. Having been raised in a very multi-cultural environment, I tend to stay away from the, "No, but what are you?" questions. I am also far too tired to worry about when anyone is getting married. The thought of seeking out a babysitter for a full day event exhausts me. So, go on, live in your house together without rings - it doesn't bother me any. But...babies? I'm gonna ask. I'll try not to ask too much, but I want to know when you'll be attempting to join me on this crazy ride (if ever). Or, you can do like one of the people I admire most did. She told all of her friends and family, "We are trying to have a baby. We will let you know if our results our fruitful." Done. Conversation over. And she does have a handsome pre-schooler now, thanks for not asking. And, finally, the line I forgot to mention in the article. Please, forgive us for asking; we bear no ill intentions. 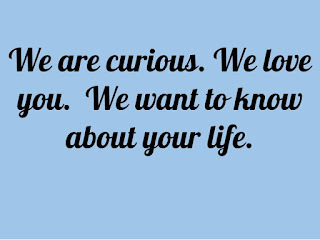 We are curious. We love you. 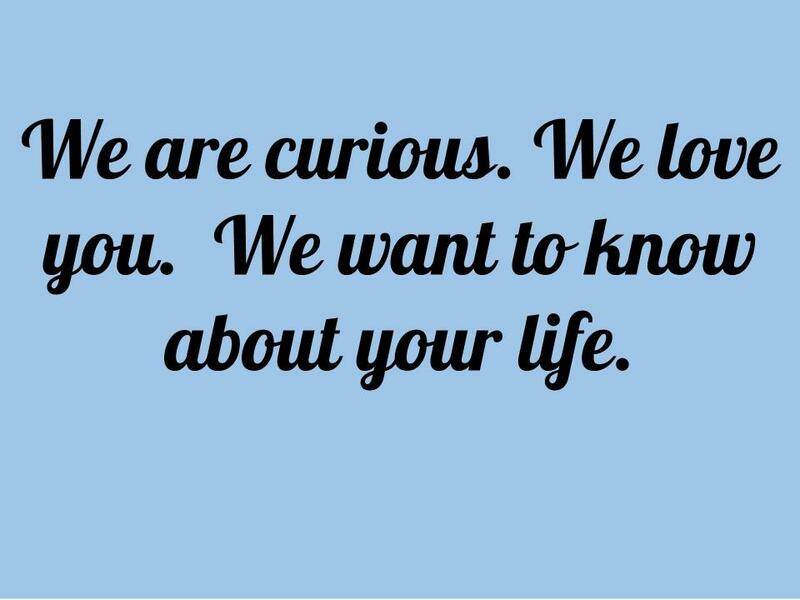 We want to know about your life. And can you really fault anyone for that?